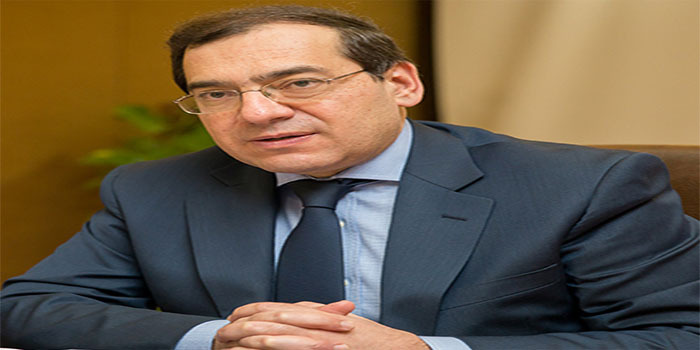 Minister of Petroleum and Mineral Resources Tarek el-Molla signed three new oil agreements for the exploration of oil and natural gas in the Mediterranean, Western Desert and Nile Delta regions with investments of $139.2 million. The minister also signed grants of $55 million for drilling 15 new wells, an official statement revealed. The first agreement is signed with Egyptian Natural Gas Holding Company (Egas), Tharwa Petroleum Company and Italian Company Eni in Noor marine area in the Mediterranean Sea to drill two wells with a total investment of $105 million. The statement referred that the second agreement was signed with the Petroleum Corporation, Eni and Croatian multinational oil company INA-Industrija nafte in the Ras Qattara region in the Western Desert to drill nine wells with a total investment of $11.7 million. The third agreement came between the Egyptian General Petroleum Corporation (EGPC), ENI and the British Company BP in the Nile Delta (Nidoko) to drill four wells with a total investment of $22.5 million. Molla said that the oil sector will continue to hold more petroleum agreements as these agreements are considered to be the cornerstone for attracting more investments. On July 30, the Egyptian General Petroleum Corporation signed a new petroleum agreement with the British Company BP to explore and produce oil and gas in the northeast of Ramadan in the Gulf of Suez with investments of about $46 million, in addition to a $4 million grant to drill three wells. The number of signed petroleum agreements reached 88 new agreements since 2014 and the authority is working on signing 13 new agreements. Earlier in July, the Petroleum Ministry signed three agreements for oil and natural gas exploration and production in North Sinai and the Gulf of Suez. The first agreement was signed with South Valley Egyptian Petroleum Holding Company (Ganope) and Britain’s GHP Corporation to dig six new wells in the western Gebel El-Zeit Concession with total investments of $6 million. Gebel El-Zeit is an isolated, elongate mountain that reaches up to 457 meters and overlooks the southern end of the Gulf of Suez. The second agreement was inked with the Egyptian General Petroleum Corporation (EGPC) to search for oil in Ras Fanar Concession in the Gulf of Suez, while the third one was signed with EGPC and Britain’s Perenco Oil and Gas Company for exploring in North Sinai maritime concession. Egypt’s production of natural gas increased in December 2017 to reach 3.4 million tons, up from 2.7 million tons in December 2016. Egypt’s gas production currently stands at 5.5 billion cubic feet a day, after adding some 1.6 million cubic feet as a result of starting production from the aforementioned projects. The country’s total natural gas consumption is about 6 billion cubic feet per day, of which roughly 65 percent goes to the electricity sector.